For members who would like to achieve their CANSail I,II, or III certification, CANSail courses which build on the fundamentals of sailing are taught by certified instructors. CANSail courses build the student’s comfort and confidence in a sailboat. 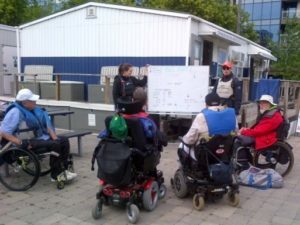 CANSail I teaches basic terminology, safe boating practices, points of sail, tacking and gybing manoeuvres. Each session is 1.5 hours and a 6-session minimum is required to pass each level. Additional practice during recreational sails is recommended. A course can consist of on-land or on-water instruction as requested by the student. At the end of the course, a one-on-one on land and on-water test is given by an instructor to verify the sailing level of program participants. The test is to be requested by the member at the office. The available instructor will schedule the test time with the member.